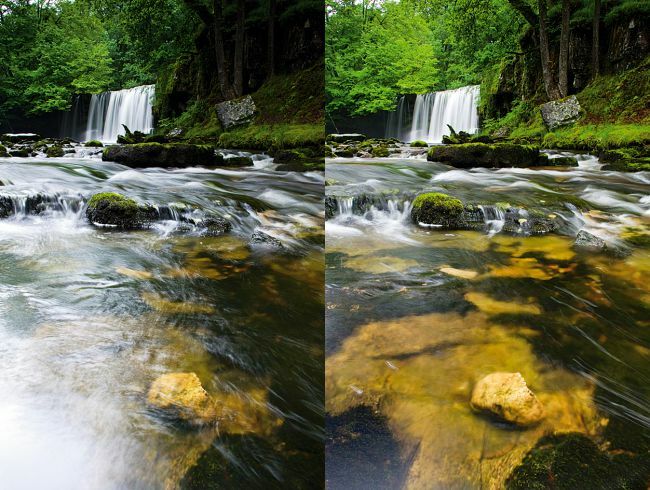 There are camera filters for the DSLR camera user that are often forgotten. But, if you talk to a professional photographer, I would say most of them would say there is probably about 4 essential filters you would need in your camera bag to become a serious photographer. So, let’s go over these filters carefully, so you understand what we are talking about. Let’s clear up one thing first. There are two kinds of filters. 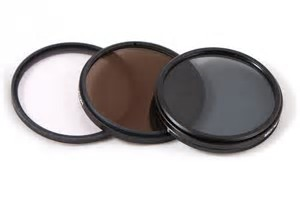 1- Round filters that just screw on the front of your lens, as you see pictured above, and then 2- the square filters that use an attachment on the front of your lens to add the filter to them. Let’s look at the pros and cons of each first. 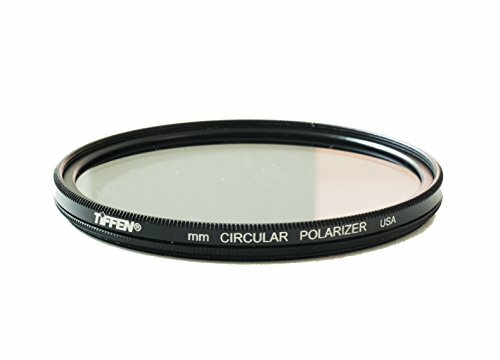 Round, screw-in filters are ideal if you only want to use the filter on one lens, or lenses with the same size thread, but if you have lenses with different thread sizes you’ll need different filters for each one. 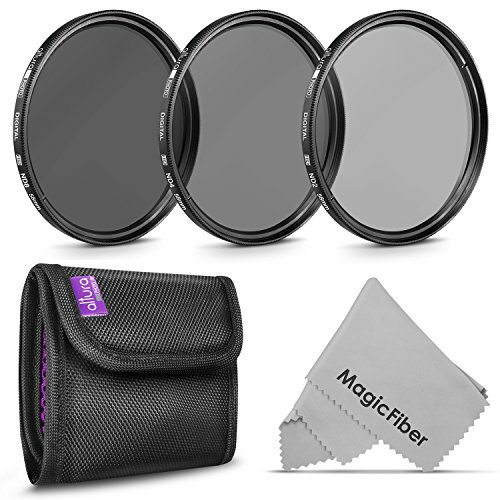 With the square filter system you only need to buy one set of filters, as these can then be attached to the lens using adaptors of different sizes. Which type you should choose also depends on the type of filters that you want to use, as some filters are only really useable screwed directly to the lens or in a square filter system. 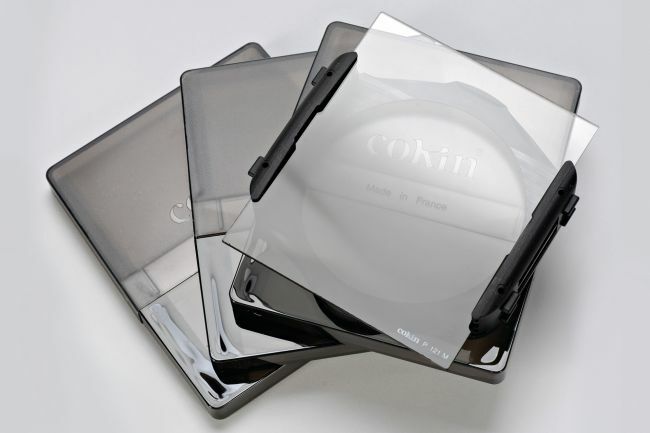 Skylight filters, for example, are best suited to the round screw-in design, but filters such as neutral density grads are easiest to use in a square filter system. So, now we have the two different types of filters out of the way, let’s get to the 5 essential filters that I think everyone should own. 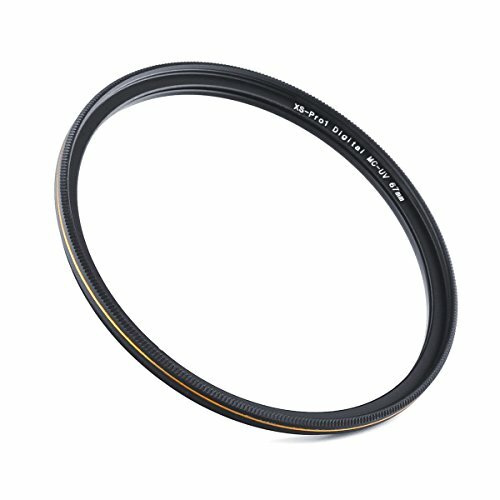 The skylight filter should be a round filter, and should be purchased for every lens that you have. 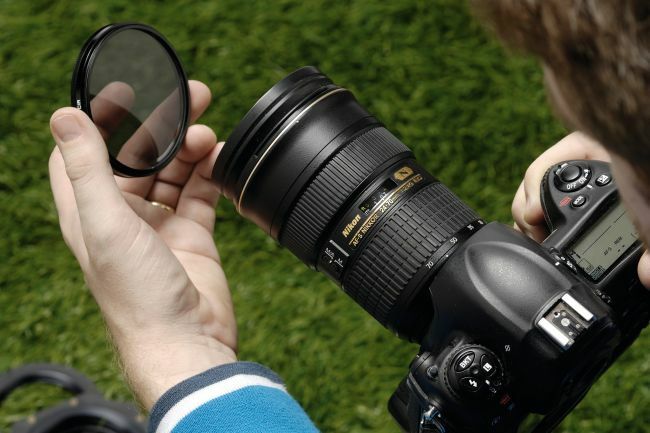 And it’s main purpose is to protect the front element of your lens. 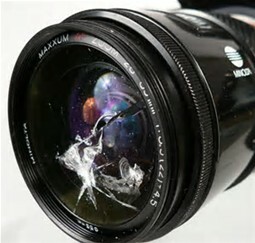 I have worked in a retail store before and I have seen the dropped lens brought in many of times. The one with the skylight filter, we just screw off the damaged filter. 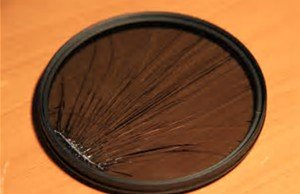 Polarizing filters reduce the glare off of all surfaces except metallic surfaces. So, water clouds, sky, trees, all have reflective properties. And when you use the polarizing filter, you can enhance the color of those things, because you have cut the glare off those things. And yes, the sky is now going to become a richer blue because of this. This is also best used with a round filter. The interesting technical feature that most people miss on this filter is that it works at it’s maximum when your lens is at a 90 degree angle to the sun. So, if the sun is straight up, say at 12 noon, the polarizing filter should work great at all horizon shots. But, if you have the sun down close to the horizon, take it at a 90 degree from the sun and you will get a richer color or maximum effect of the filter. When you get the filter on your lens, it does rotate. Rotate the filter and you can actually see it work. It is amazing and worth every penny. Remember it does not work on metal, so, when you take pictures of your car, it will not cut the reflections off the metal, but it will off the glass. 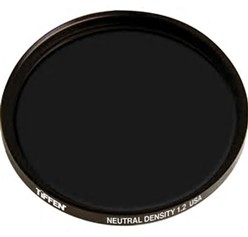 A neutral density filter is nothing more than a darkened piece of glass. It does not change the color at all, but, changes the exposure rating of the lens to darker. They will come in ratings of ND 2, 4, 8, which is the value of the light that it cuts in exposure ratings. So, an ND 2, cuts the light by 1/2 and so forth. The problem you have sometimes, is that the light is too bright to slow your shutter speed down. So, in order to do that, you have to use a filter, like an ND filter to force you camera to think it’s darker out there than it really is. And then you can use a slower shutter speed. 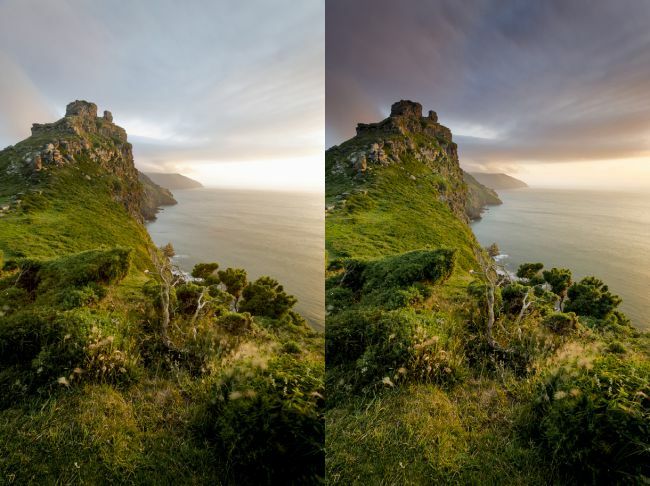 Balancing the exposure between a bright sky and a darker foreground, particularly in landscapes and sunrise/sunset shots. 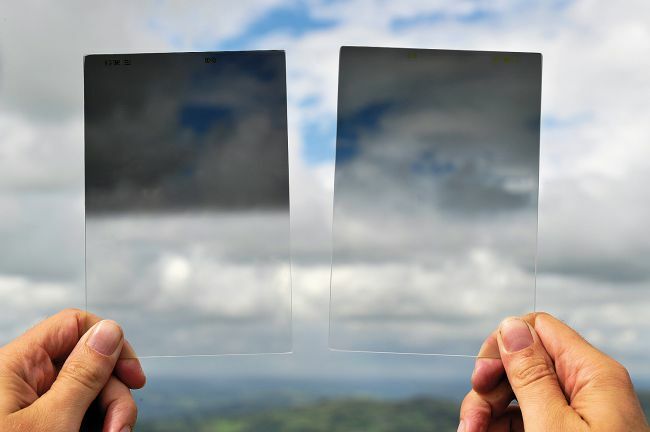 To use our previous analogy, a graduated neutral density filter, or ND grad, is like a pair of sunglasses with dark glass at the top and clear glass at the bottom. By placing the dark part of the glass over a sky that’s much brighter than the scenery below, and lining the transition up with the horizon, you can ensure a balanced exposure. ND grads come in several different strengths, and with different transitions between the dark and clear areas. 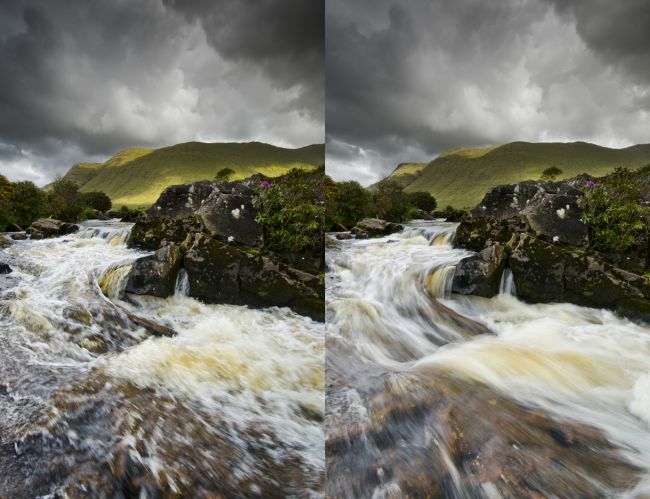 For most uses a two-stop grad, also known as a 0.6 or ND4 grad, is a good option, but for shooting sunrises or sunsets with the sun in the frame, you may need an even stronger filter, such as a three-stop (0.9 or ND8) grad, to give a more balanced exposure. Some of the filter gradations change softly or do it rather abruptly. So, when you purchase them, make sure you get the effect that you want. I usually prefer the soft gradation. That way it seems more natural. And of course, in this case, the square format filters seems to work the best. 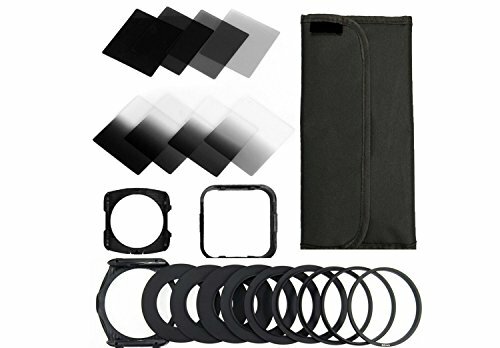 The nice thing of course is that one filter will work for many lenses, you will just need to get an adapter if the lenses use different diameter filters on the end.